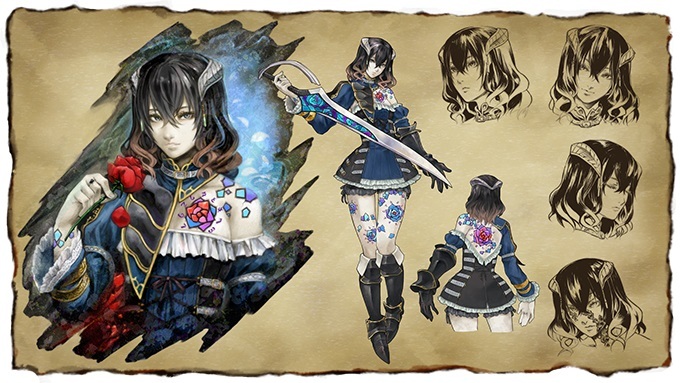 Koji Igarashi (IGA), the mastermind behind Castlevania: Symphony of the Night has launched a Kickstarter for his new title Bloodstained: Ritual of the Night. The game looks to be a spiritual successor to the Castlevania franchise. The Kickstarter was looking for $500,000 for complete funding (at the time of writing this goal has been met). The funding period ends on June 13th. It costs $28 to back the project and receive a digital copy of the game on the platform of your choice, PlayStation 4, Xbox One or PC. The title will be “an exploration-focused, side-scrolling platformer featuring RPG and crafting elements”. Long time Castlevania and Suikoden composer, Michiru Yamane, will be handling the music. Japanese developer Inti Creates will be looking after development. In a Kickstarter first, one of the reward tiers will include a physical copy of the game, on the platform of your choosing. The project also includes backer achievements that will be unlocked by submitting fan art & connecting with IGA on social media. These add new things to the reward tiers and will proceed to unveil other stretch goals. At this moment the campaign doesn’t have many stretch goals revealed right now, but at the rate the project is being funded it’s likely to hit them quite soon. At the moment stretch goals include, a 2nd playable character, and new difficulty mode and voice acting from David Hayter of Metal Gear Solid fame. We’ve seen a trend as of late with older franchises being reborn via spiritual successors. First Mighty No. 9, then Yooka-Laylee and now Bloodstained. If anything, this tells us that the studios were wrong in passing on games such as these. All of these projects have been funded with tremendous speed. It’s clear that the people want these games, but the companies have just been unwilling to develop them. One can only hope that the success of these projects enable companies to see that people want these types of games. Bloodstained: Ritual of the Night is set for release in March 2017, it will be available on PS4, Xbox One, PC, Mac & Linux. You can check out the Kickstarter backing page here.